I saw this video and was envious! I know nothing about Kingstar trailers (do you? If so, please comment or email me!). But I thought the idea was very clever. The description is even more exciting! INFO FROM VIDEO: The finest quality horse camping trailers with automatic corrals on both sides, integrated fresh water, kitchenette and living quarters for two people. Superb quality materials and workmanship with innovative designs and engineering. Each Kingstar trailer has two folding corrals that come down at the push of a button, revealing hay pods with easy tilt-open access. No more dangerous trips up a ladder to stow hay overhead. KingStar does the lifting for you. 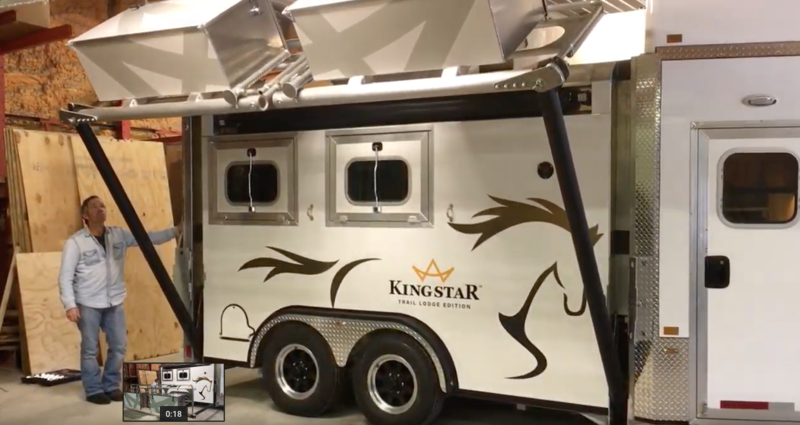 Whether you are into dressage, rodeos, derby, or endurance and trail riding, KingStar is the trailer for you. I HAVE TO ADD, BENNY THE ICE-SKATING DOG! This video from the Dodo was so much fun to watch! 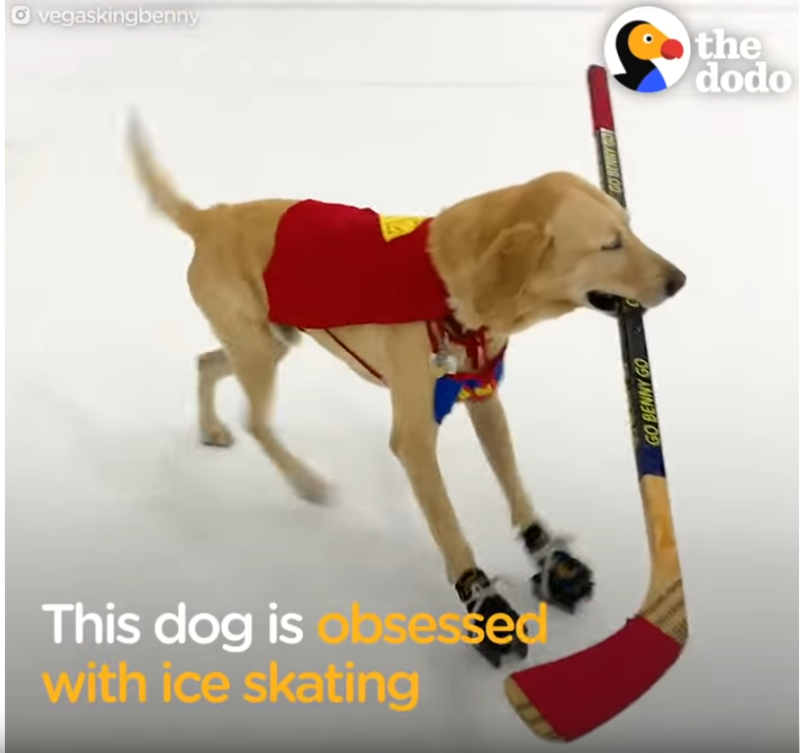 Benny the Ice Skating Dog! click image to watch the video!